The life and works of Felix Mendelssohn-Bartholdy are enjoying a considerable resurgence of interest. 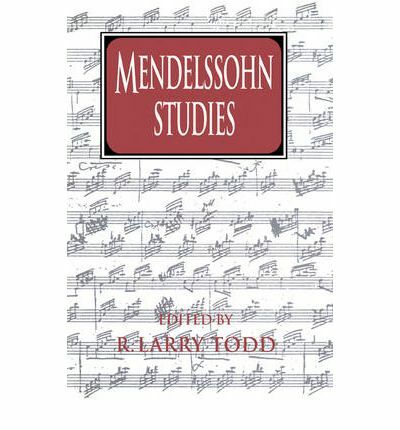 This volume presents the most recent trends in Mendelssohn research, covering three broad categories - reception history, historical and critical essays, and case studies of particular compositions. Much of the book depends on a wealth of primary nineteenth-century documents, including little-known autograph manuscripts, letters, and sketches of the composer. Four studies consider various facets of Mendelssohn reception in the nineteenth and twentieth centuries. Friedhelm Krummacher considers the abiding popularity of Mendelssohn's music in England, while Peter Ward Jones reviews Mendelssohn's business dealings with English publishers; Donald Mintz examines the composer's posthumous reputation from the perspective of the revolutionary agenda of mid-nineteenth-century Germany; and Lawrence Kramer considers dynamic multiple layers of meaning in the Calm Sea and Prosperous Voyage Overture and The First Walpurgisnacht. Four essays, by Judith Silber-Ballan, J. Rigbie Turner, Wm. A. Little, and David Brodbeck, treat Mendelssohn's relationships with A. B. Marx, E. Devrient, Franz Liszt, and Friedrich Wilhelm IV. Finally, two studies by R. Larry Todd and Christa Jost focus on two major piano works, the Preludes and Fugues op. 35 and the Variations serieuses op. 54.